Miami, Fla. (Dec. 15, 2015) – Miami FC, an expansion team in the North American Soccer League, today announced the signings of a pair of American players -- Brad Rusin and Blake Smith -- to the club’s inaugural roster. Rusin, a defender who played for the San Antonio Scorpions in 2015; and Smith, a midfielder who most recently played in Switzerland, signed with Miami FC a week after the club unveiled its first three players -- Dane Richards, Jaime Chavez and Wilson Palacios. Rusin, 29, an Indiana native, moved to Florida in 2002 and attended the IMG Soccer Academy in Bradenton and then played in college at UCLA, while also turning out for several Premier Development League clubs during the Bruins’ offseason. During a professional career that spans more than 125 games, Rusin has spent time with the Carolina RailHawks (NASL), HB Koge (Denmark), Vancouver Whitecaps (MLS), Orlando City (USL Pro), the Tampa Bay Rowdies (NASL) and the San Antonio Scorpions (NASL). He also has trained with Bolton Wanderers of England’s Premier League and has had trials with clubs in Norway. In 2009, he made his professional debut with the Carolina RailHawks. Smith, 24, grew up in Boerne, Tex., and majored in business administration while playing in 68 games (53 starts) for the University of New Mexico Lobos. Smith was selected eighth overall in the 2013 MLS SuperDraft by the Montreal Impact and played in 16 regular-season games during his rookie season. In 2014, the Impact loaned Smith to Indy Eleven of the NASL. After being released by the Impact last May, Smith latched on with the Swiss club Yverdon Sport FC, playing in 14 games before signing with Miami FC. 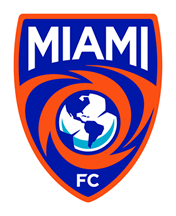 MIAMI FC, Miami’s sole professional soccer club, will begin to play in the North American Soccer League’s 2016 Spring Season. The club will also compete in the U.S. Open Cup, host international tournaments and friendly matches. MIAMI FC will play its home games at Ocean Bank Field on the campus of Florida International University in Miami. The club is co-owned by the international media entrepreneur Riccardo Silva and the former Italy and A.C. Milan star Paolo Maldini.